One of the online groups I follow is currently focused on researching the Mingoes. They have been compiling as many occurrences of the name along with locations as they can find. 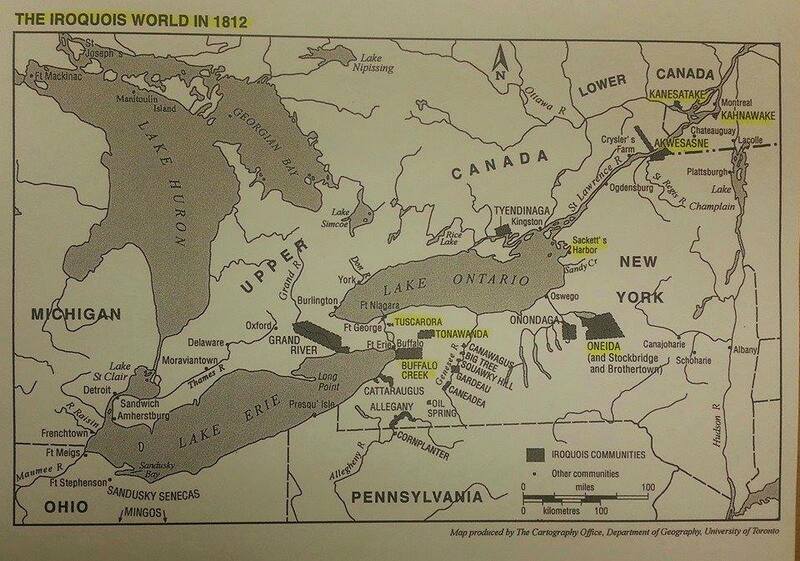 This map is particularly interesting, not just because of the Mingo mention in Ohio, but because it lists the major Indian villages in New York in 1812. Please note that other tribes in Canada and Michigan have been omitted, so this is not comprehensive. Also, the highlighting is not mine. Hat tip to Chris for this map. This entry was posted in Iroquois, Mingoes, Oneida, Onondaga, Seneca, Tuscarora. Bookmark the permalink. My great great grandmother was an Iroquois “Princess” who married into my surname in the late 1850’s. Her name was Harriet Davis and her family lived on a reservation in New York at that time. Beyond the nation, I do not know to which tribe they came from. She married David Warner, who was “very German”, in Marion County Ohio, where David lived with his entire family. She never saw her family again after the wedding and David was kicked out of the family for the inter-racial marriage. They farmed in several states over the first years, but moved to Wyoming later in life “to be closer to her people”. They are buried in Chugwater, WY. My DNA came back at 5% Indian and i am trying to learn more about her family. My wife and I will be traveling to the east coast and will include any stop you may care to recommend to aid me in this search.